The bone yard is our back stock of project pieces that are waiting to be reupholstered. 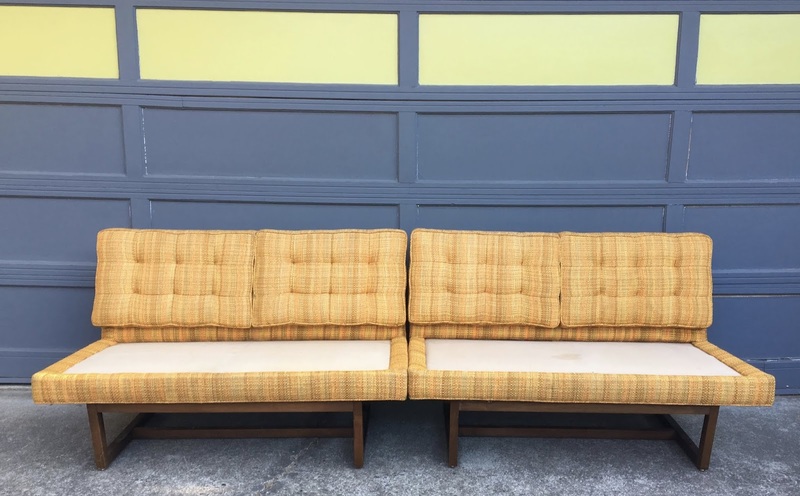 If you see something you like please inquire at remnantpdx@gmail.com for custom upholstery and pricing. Paoli lounge chairs, one is a rocking chair. 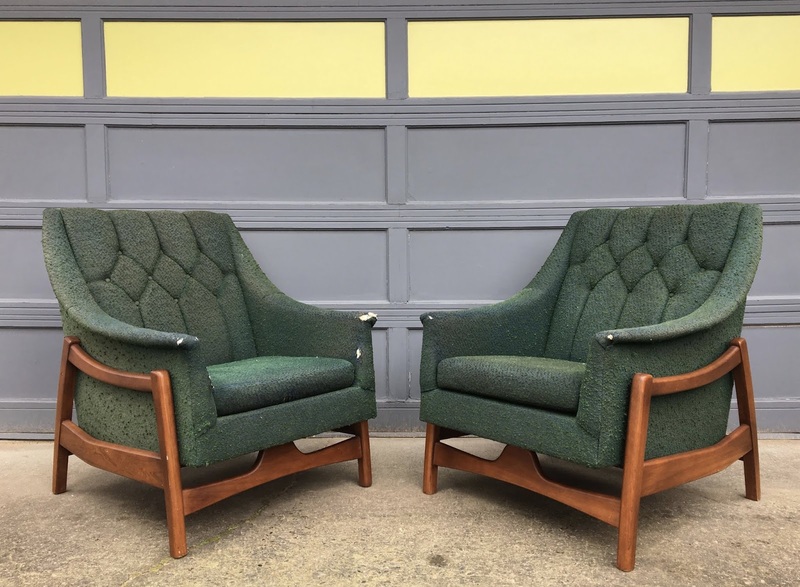 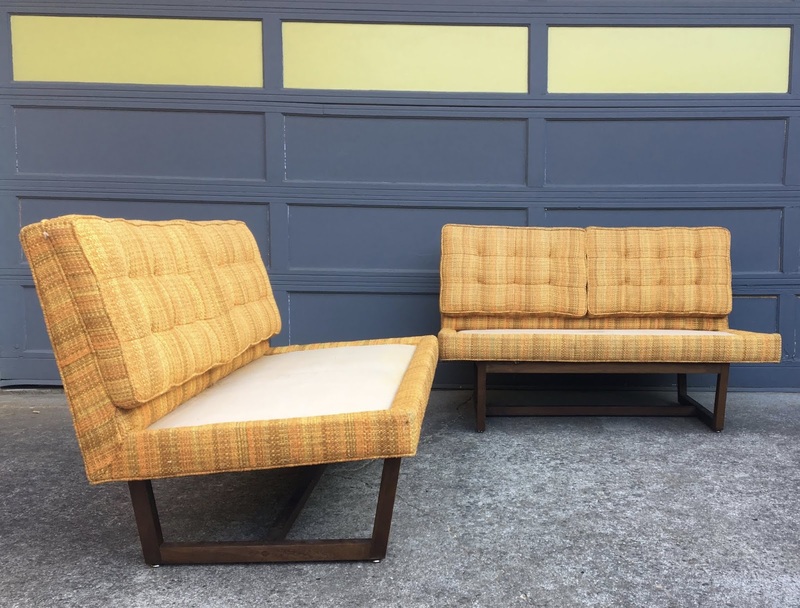 Mid century two piece sectional sofa.